I’m so glad that Square Enix has let its Montreal branch go crazy with great ideas for mobile versions of their licenses. Like, Lara Croft Relic Run (Free) isn’t the worst idea since Temple Run (Free) exists, but did the world really need it? Instead, Square Enix Montreal has gotten to go wild with clever and whimsical concepts such as Hitman Go ($4.99) and Hitman Sniper ($0.99). 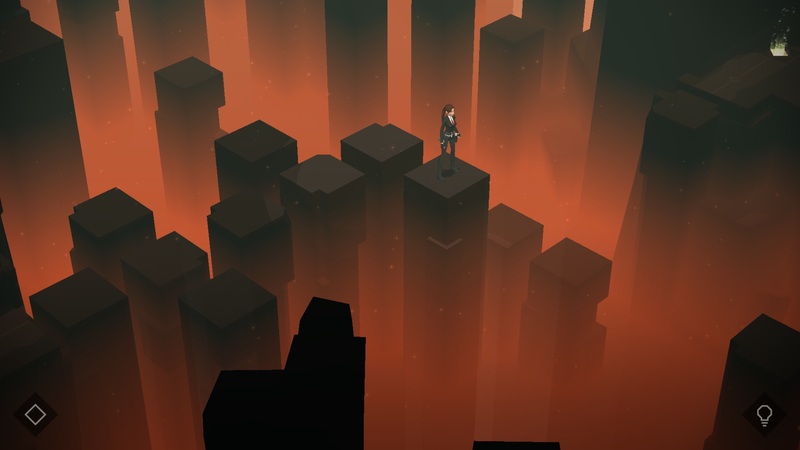 Now, they expand out into the Tomb Raider franchise with Lara Croft Go ($4.99), which takes the Hitman Go formula of being a turn-based board-style game and makes it about solving puzzles and staying alive in the tomb raiding setting. It abandons the board game style of Hitman Go, while keeping similar gameplay. And much like Hitman Go, it winds up doing some really clever things that make it another must-play game. This is a turn-based puzzle game, where you move Lara Croft along the diagonal directions, where Lara moves first and then all obstacles and enemies move afterward. Everything has a particular set of rules to it, like snakes which can only be attacked from the sides or rear, enemies that chase you, boulders that will roll endlessly until stopped, and more. Lara can use her pistols to take out some enemies, but otherwise you’ll need to cleverly use the environment, or the spears you find, to defeat foes. The game doesn’t really provide a good justification in the narrative for as to why Lara can’t just shoot these creatures from a far off distance with her guns, but let’s just roll with the fact that a spear is more powerful than a pair of pistols. 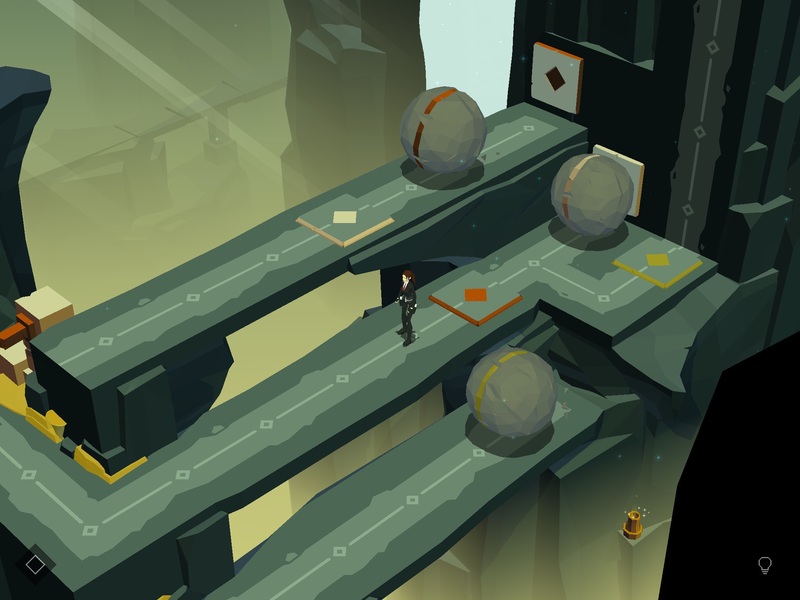 And Lara Croft Go is particularly cool for the way that it lets you use the environment. Running over enemies with a boulder, or using a spike trap on a giant snake? It’s really rewarding to do that. The game also does a wonderful job at ramping things up, starting off with a simple set of rules and mechanics to play with, before steadily increasing them. Eventually, you get to a point where the game’s got all this complicated stuff going on and it’s just all about the application of the skills you’ve attained so far. This is how game progression should work: constantly challenging, but constantly teaching and testing you. I’m a big proponent of casual-friendly mobile games being played in portrait mode if possible – and as a turn-based puzzle game where there’s no rush to do anything, this is exactly that – I’m kind of sad that Lara Croft Go doesn’t support portrait as well as landscape. After all, while I feel like landscape is probably the best way to play while sitting down, there’s still advantages to portrait play, like if you’re on a crowded bus or train, or just don’t feel like giving off the “I am playing a game on my phone" vibe. While perhaps there would need to be some zooming and panning that the game isn’t currently designed for in order for the game to work in portrait, where you can see all of the puzzles, I feel like it would be a great addition. Also, I notice the game has a reduced framerate on the iPad Mini 2. While there’s clearly some gorgeous visual effects in play here, this doesn’t feel like the kind of game that should be running slower already on that hardware, though I suppose it is 2 years old. Guess I’m buying a new iPad this year. The game does run great at 60 frames per second on the iPhone 6 Plus, though. Some people might complain about the IAP costumes in the game, but once you see the pack of 3 costumes for $1.99, you’ll probably want to instabuy them just as I did, because one is the Agent 47 suit from the Hitman games. It’s amazing, and worth the $1.99 alone. There’s also the $4.99 IAP to unlock solutions for all the levels if you get stuck, which I don’t know if it’s superior to a system where you just buy hints as you need them? I’m still undecided. There’s still a bunch of costumes to get by finding the different relics hidden in each world. These are difficult to find, as they’re hidden in various nooks and crannies of the levels, but still rewarding to collect. But seriously, drop that $1.99 for that costume pack, because the game’s still pretty cheap no matter what, and that Agent 47 suit is cooler than any principles you have. Much like Hitman Sniper, I’ve seen some issues with Game Center that cause Lara Croft Go to crash. I don’t know why it is, but do be wary and prepare to sign out or switch over to sandbox in order to alleviate some of the issues, possibly due to large numbers of friends? I’ve seen that issue with other games, but hey – Game Center has been buggy for me as of late, constantly signing me out. That Square Enix Montreal got iCloud working is a small miracle in and of itself. I could see this game being a resource hog because it’s absolutely gorgeous, but still, it’s a bit disconcerting that I’ve seen Game Center issues from back-to-back games from the studio. 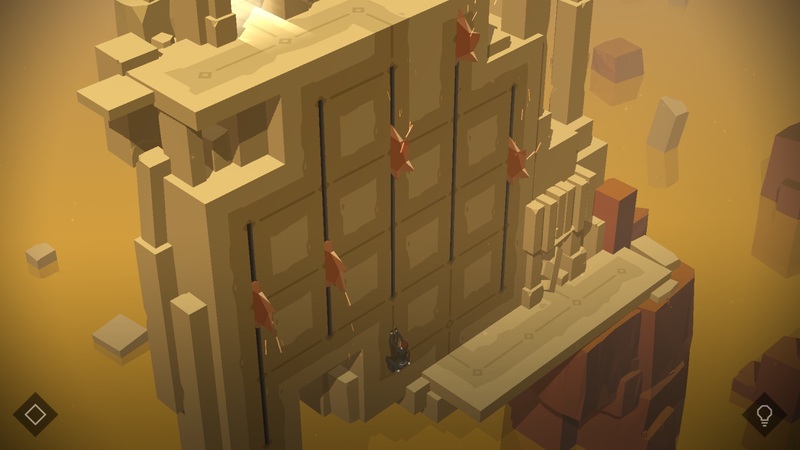 Minus any little issues, Lara Croft Go is another winner from Square Enix Montreal. I wish every publisher had a studio that they would give open reign to create awesome paid games with their properties like SE Montreal does. They’ve been able to create some whimsical and unique things with a couple of serious licenses, and the games have all been these really special things, and I wish big publishers were doing more crazy, kinda off-beat, games like this.